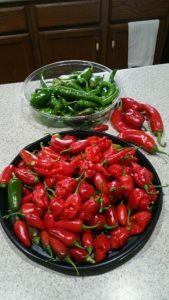 Almost done with the peppers. For the fresh heat batch 2016. Sent from Kon’s smartphone.